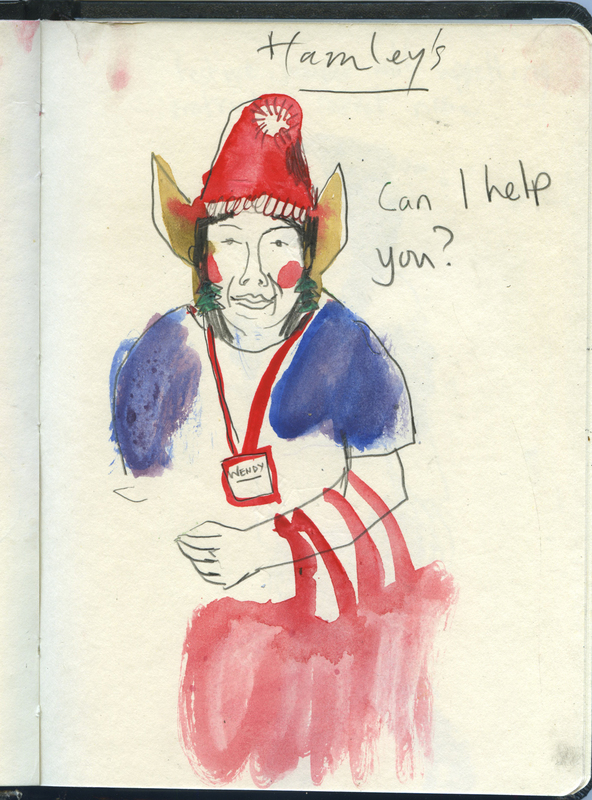 Although the elf, known as Wendy, looked a bit like a normal woman with clip on ears, she was very kind and helpful. This entry was posted in opinion and tagged christmas, elf, Hamleys, humour, illustration, Laura Quick, satire, shop assistant. Bookmark the permalink.